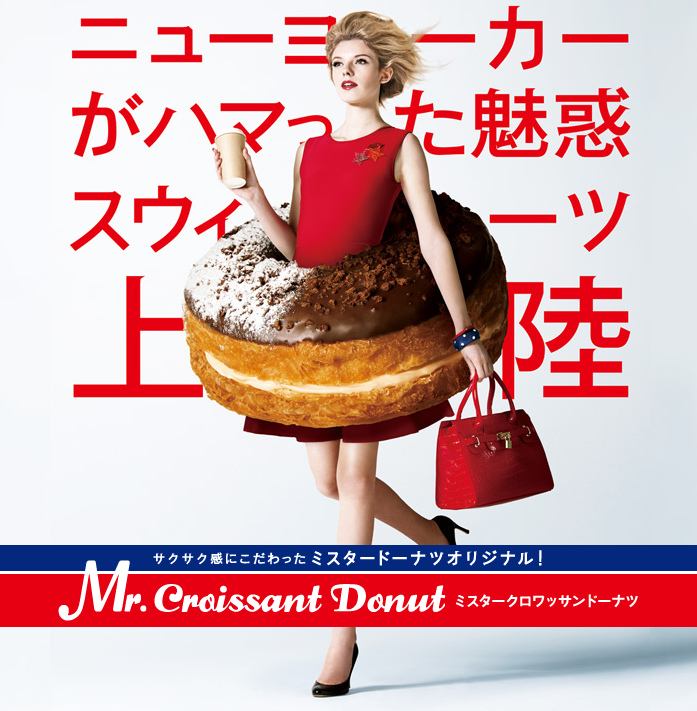 Mister Donut Japan has released a new range of croissant doughnuts. The doughnuts went on sale on April 1 and are called “Mr. 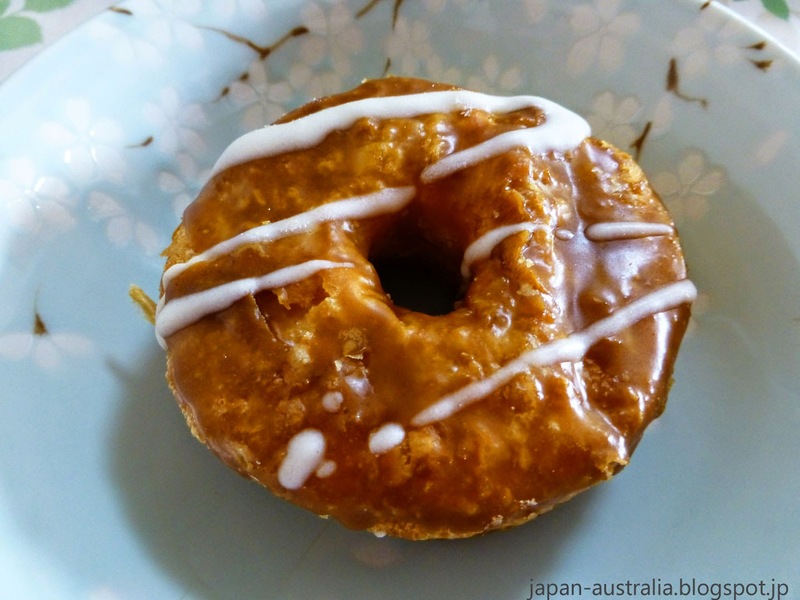 Croissant Donut”. The doughnuts are made from croissant dough that is fried and then oven baked. We like that sound of that! This gives the doughnuts a very light and flaky texture. Very nice and not too sweet. 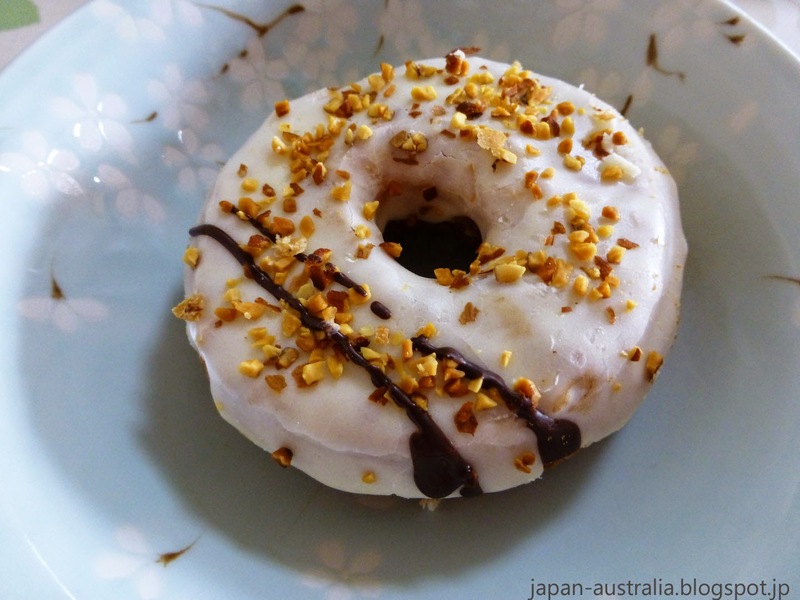 The doughnut contains custard whipped cream inside the flaky croissant style doughnut. 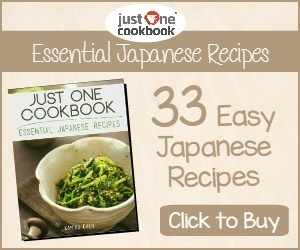 It is coated with chocolate and topped with crunchy chocolate crumbs and powdered sugar. Sweet and delicious with caramel whipped cream sandwiched inside the flaky croissant style doughnut. It is also coated with white chocolate and topped with almonds. This was our favourite of the three. More adult oriented and less sweet than the others mentioned above. It is a maple syrup glazed croissant style doughnut that is filled with whipped cream, and decorated with white chocolate. 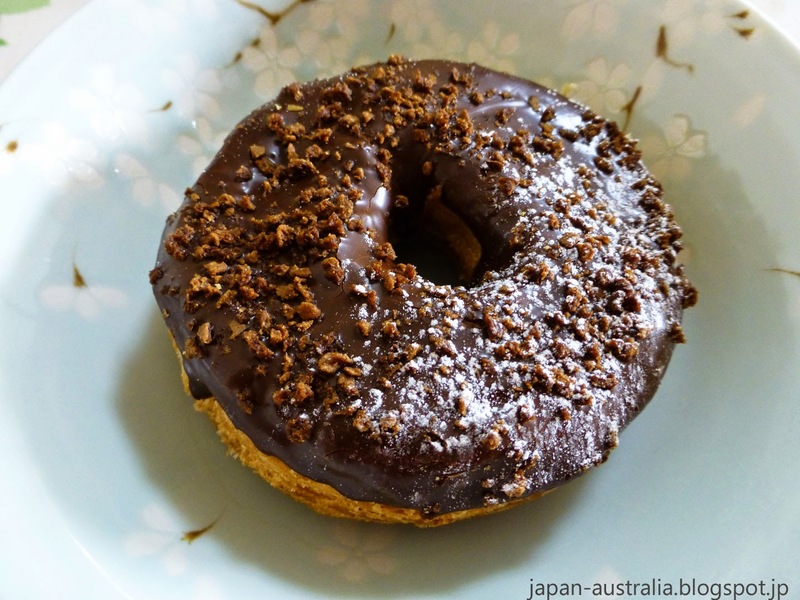 We can highly recommend these doughnuts as they were light, flaky and delicious. 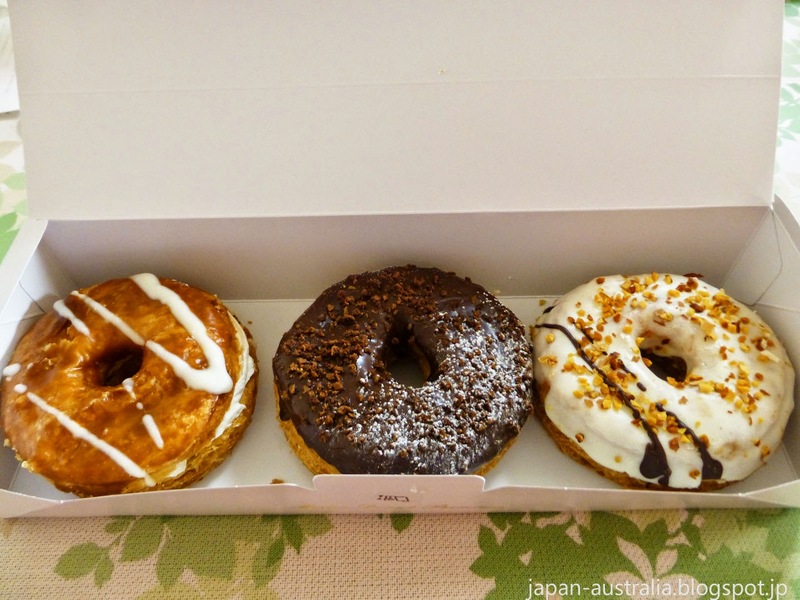 The doughnuts cost 180 yen (USD$1.80) each, or you can pick up a box of three for 550 yen (USD$5.50). The doughnuts will remain in the Mister Donut line-up until early June, so if you are in Japan definitely give them a try. Which one would you like to try? Please leave your reply in the comments below.